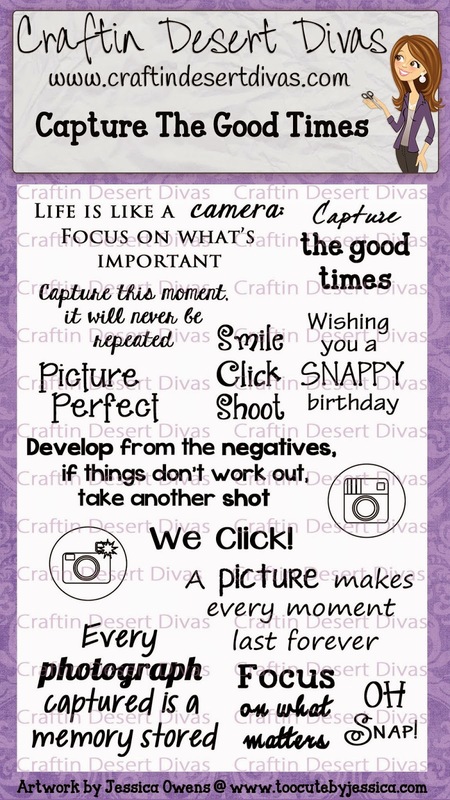 Welcome to our sixth Craftin Desert Diva's stamp release blog hop!! We're super excited to share with you in full the CDD August release stamps. 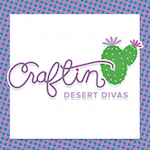 There are four new stamps that are being released today in the Craftin Desert Divas Shop and are available now for purchase. Use code: AUGUST to save 20% off your ENTIRE purchase. The mini stamp & sale will end Aug. 31, 2014. 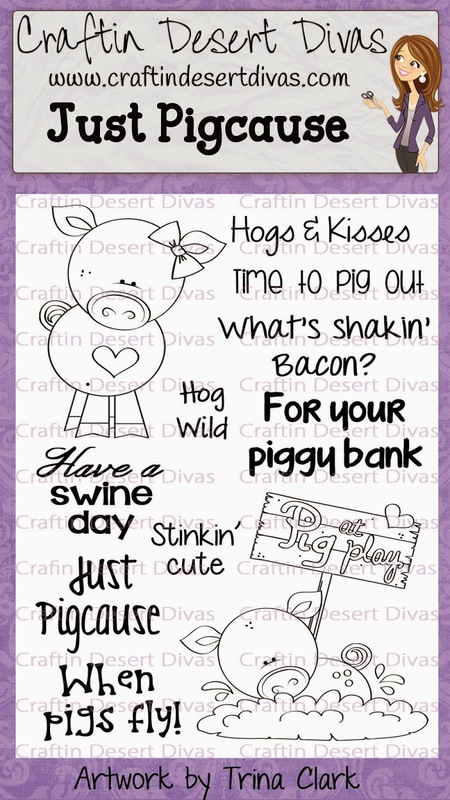 I wanted to share with you this adorable card made by DT member Kathy to show you how cute the freebie stamp is. 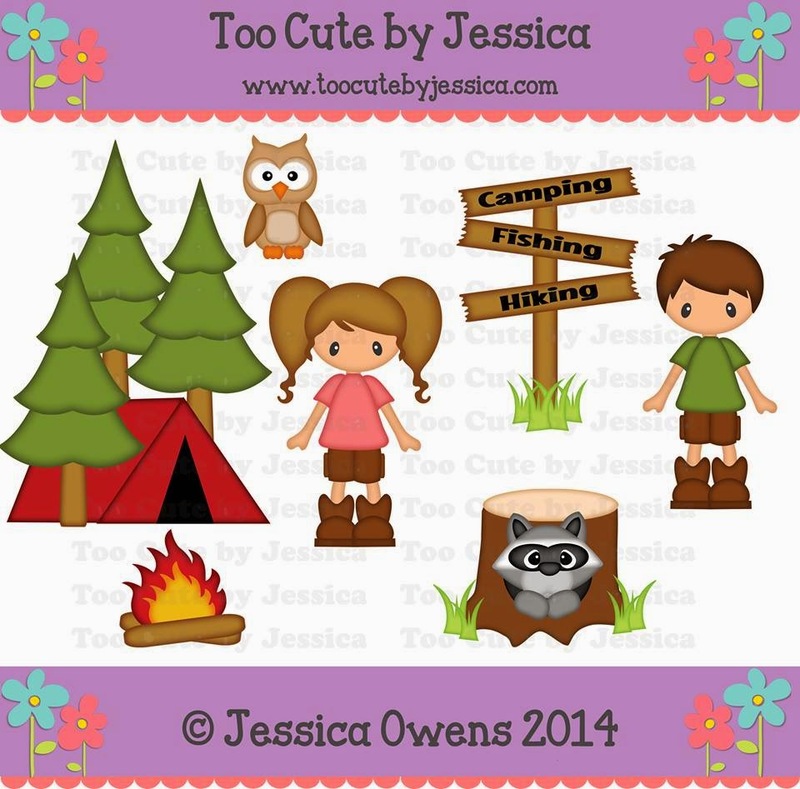 I'm giving away one stamp set each day & Too Cute by Jessica is giving away $25 gift card to her store (regular priced items). For today I made a Lori Whitlock 3D window treat box. It was super easy to put together and only took a few minutes. 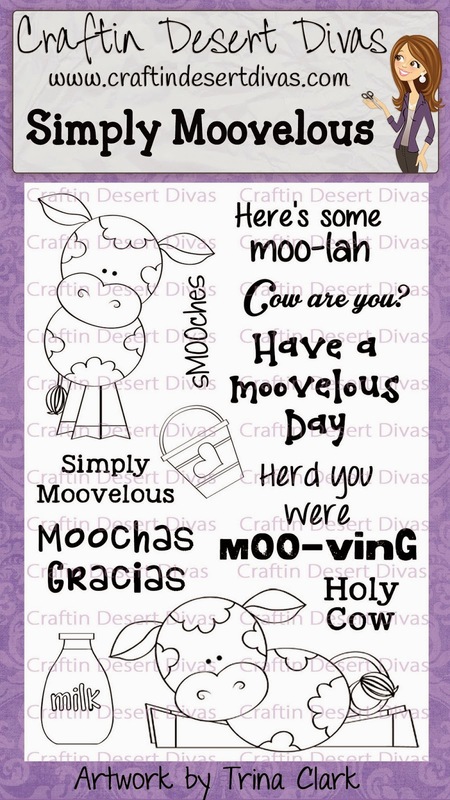 I just love the color combo of black, white and pink so I thought I would do something again with the Simply Moovelous stamps. First I used the SVG cut file to cut out the shape of the cow, then I stamped the cow image on it and then I colored my cow with my Spectrum Noir markers. I'm trying to get lots of practice. I stamped the sentiment and then inked the edges of the tag which came from the cut that is the opening from the treat box. I just flipped it over and used the white side. To finish it I just added some Rumple Ribbon, Doodlebug Designs sprinkles and there you have it. 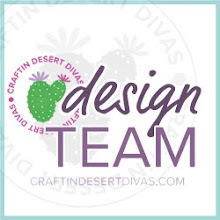 Well I hope you will hop along with us as the DT ladies have some awesome projects to share with you. See you back here tomorrow. Next up on the Line Up is the amazing LISA. Be sure to hop with us tomorrow!! Winners will be picked from a different blog each day,so the more you comment the more chances you have to win. I am loving all the new stamp sets!!! The mini is my favorite!!! Can't wait to see all the projects by the DT! As usual your project is amazing my friend. You have made some really cute projects! It will surely make everyone want the stamps, i know i do! OMG~OMG~OMG! I feel like that is all I can say, lol! You have no idea how much I am in love with this release! Every single one of these are perfect for me! Hurry up payday cause momma needs to go shopping ;) Fantastic release Tara! You rock! 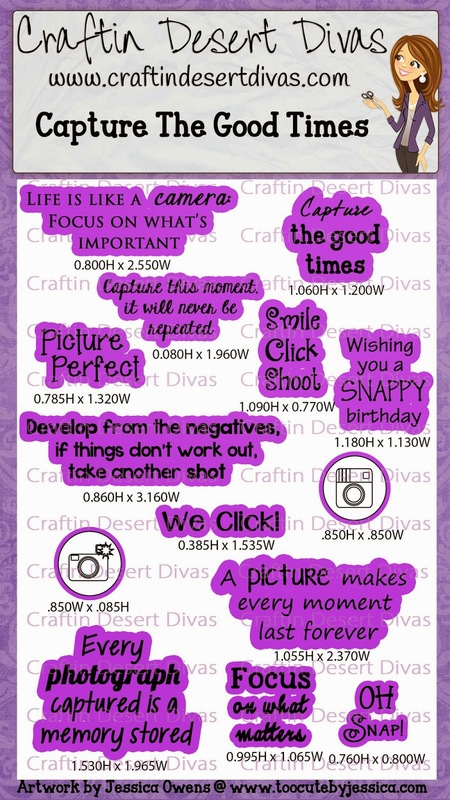 Your project is fabulous as well! Such a cute treat box Tara! 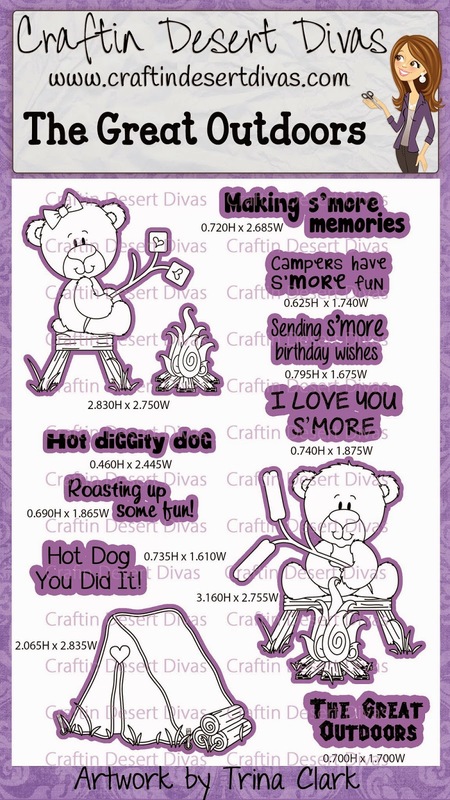 Love the new stamp sets ;) Can't wait to order! The Capture the Good Times is up my hubby's alley...but the Simply Moovelous is my favorite!!! So cute!!! 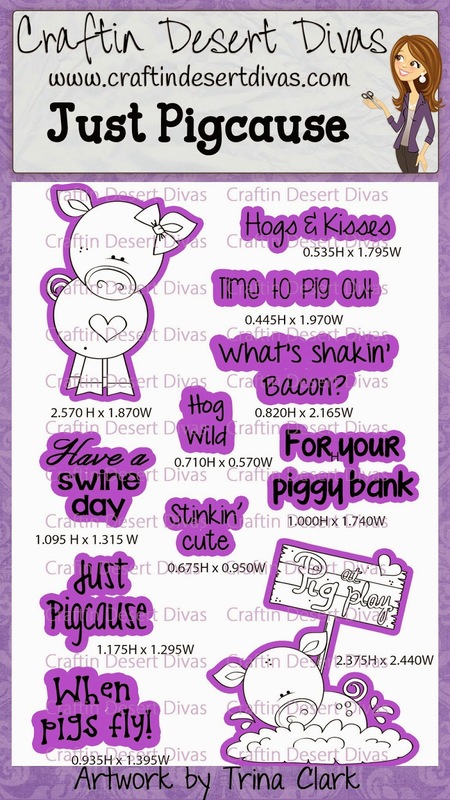 Love the new stamps and your project is just adorable!! 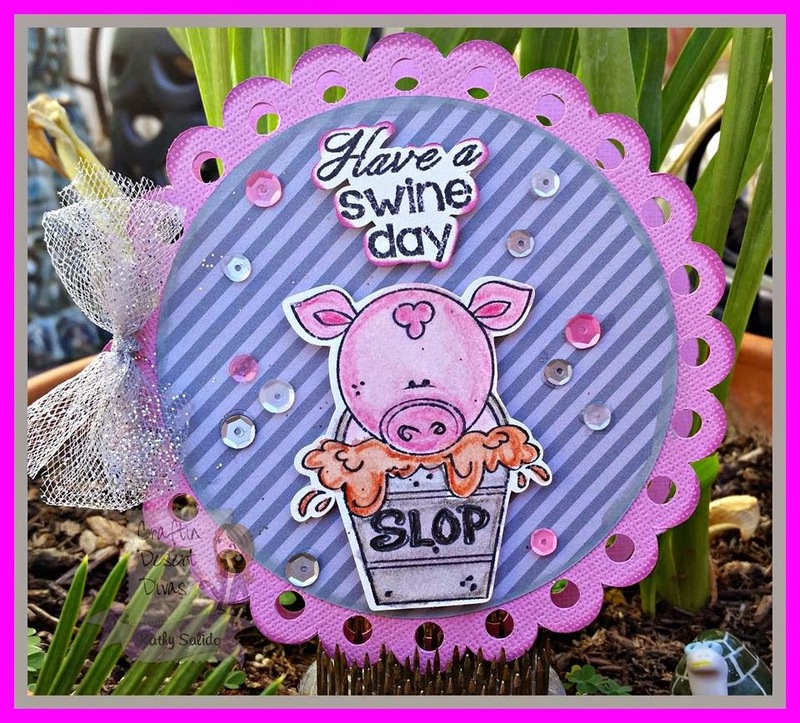 Tara, I just love your projects and stamps. 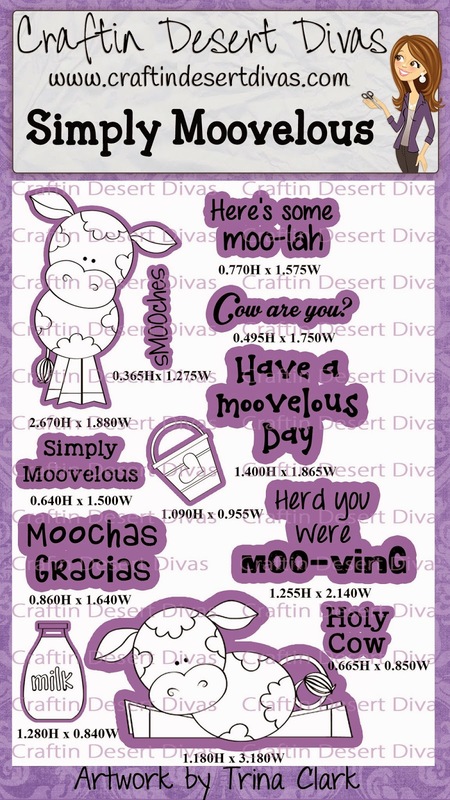 You are moovelous! I love, love your treat box Tara!! 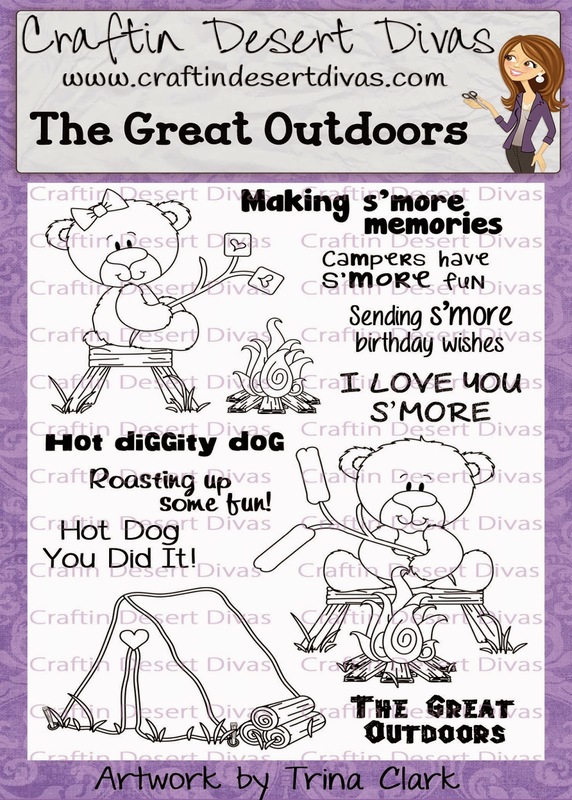 This is one of my favorite releases (although I have loved them all) I just love the adorable images and all the awesome sentiments you put with them!! This is soo pretty and absolutely perfect !!!!! I love this super cute project !! Such a super cute & treat!!! Kathy's card is ADORABLE!! Awesome little treat box and wonderful assortment of stamps. I'll be sure to get mine ordered this weekend. Like the treat box. Enjoyed the wonderful DT creations. Tara, this bag is just adorable!!!! Super cute cow treat! Great release this month! Love your project and all the new stamps. That was a great hop. I do not have Facebook so I can't comment on Jessica's project there. Please tell her it is so CUTE. Thanks. Tara your treat bag is so CUTE. LOVE the cow and sentiment. Thanks for sharing. love your project and the colors! love it!! too cute!!! Love all the stamps!!! 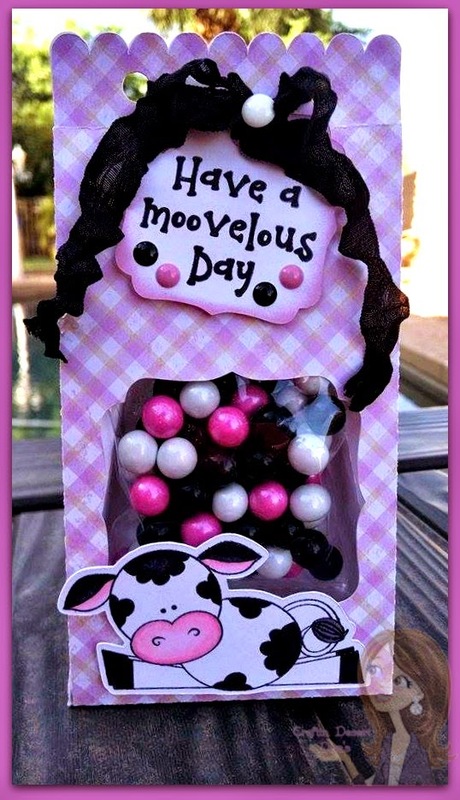 Simply moovelous goodie bag, very cute, great colors and I love the cow. What a fabulous goodie bag! So cute and fun! Finally had some free time to play today!! Glad I found the time!!! 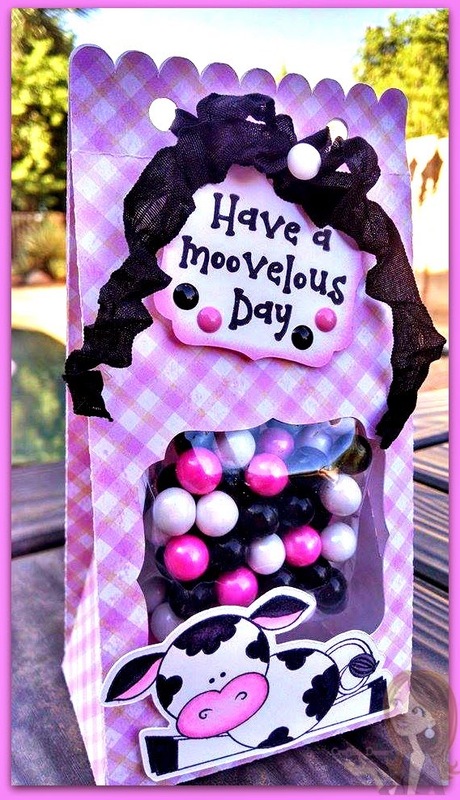 Super cute treat bag and colors. I too love this color combo. This treat bag is so much fun. Love it! !